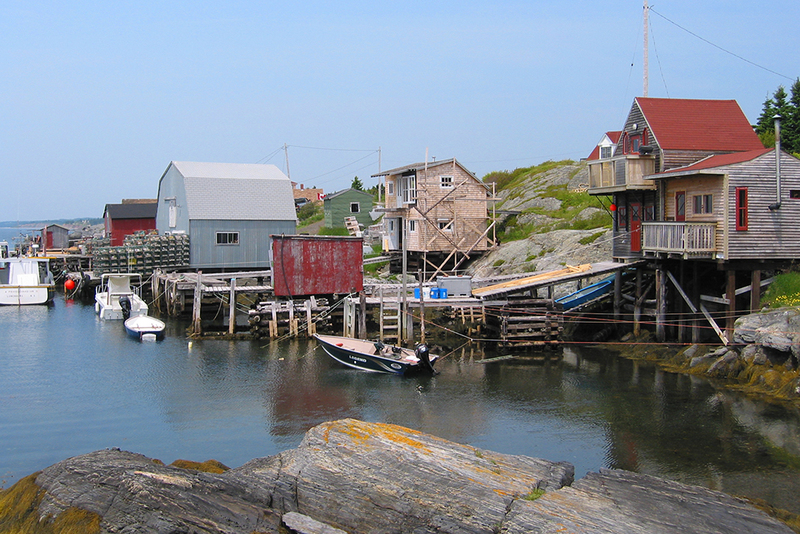 The drive from Lunenburg to Kingsburg, Nova Scotia is one of the great coastal drives of North America. Each curve reveals a new visual prize, starting from Lunenberg's hilly golf course and working harbor with tall ships at anchor. From this UNESCO Heritage town, you pass sparkling coves, hundred year old church spires and weathered wharves that serve as driveways for folks who still fish the seas. Just as the the splendors become almost commonplace, the town of Kingsburg and its 3 bays take your breath away as you come up and over a final bluff. An eclectic mix of original farmhouses and award-winning architecture fits perfectly in the area's hills and winding, narrow roads (see this Google Image search). 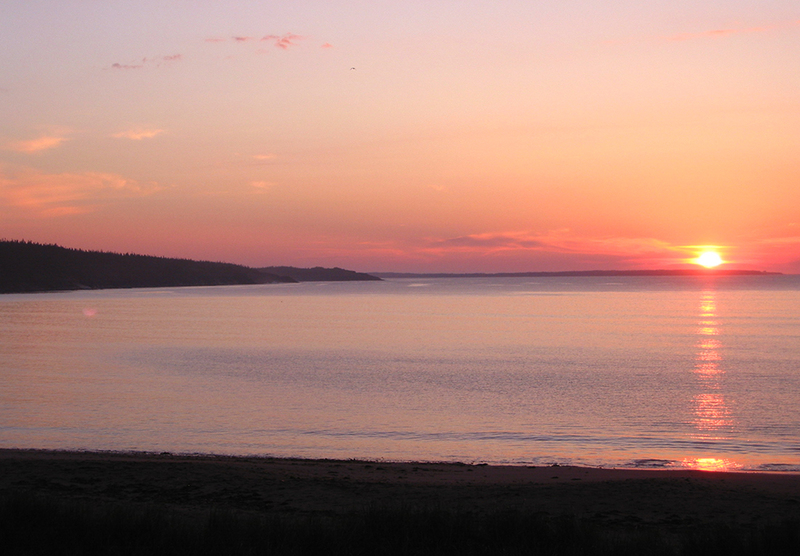 Finally, at the end of a quiet country road, you arrive at the jewel of the South Shore of Nova Scotia, Hirtle's Beach, a perfect 2-mile crescent of sand that is book-ended by two rugged peninsulas that you will hike many times. 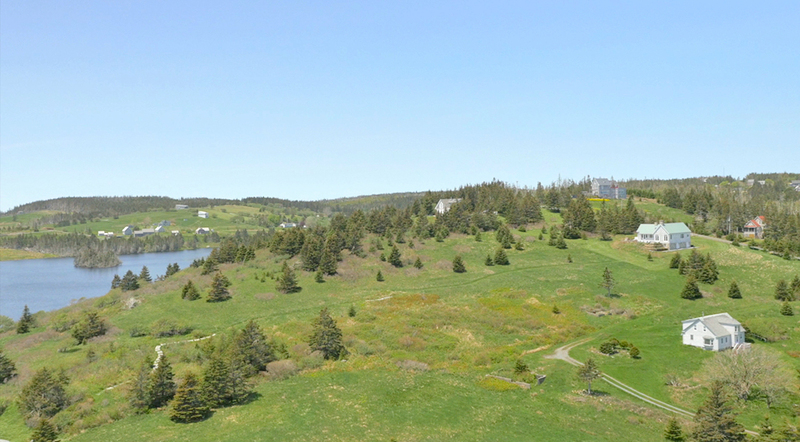 Words fail here, so let the video show you the hill upon which 7.8 acres of raw land has been assembled over the years into a package of real estate that, it is fair to say, is unmatched in the Northeast U.S. and Canada. The ocean and two fresh-water lakes envelop you. Your body slows to the rhythm of the ever-rolling waves, the familiar scent of salt in the air refreshing you. Whales breach in the deep Atlantic blue beyond. They call it "God's Country" out here. This is the Northeastern Atlantic. Facing due south, this once in a generation property sits in the center of Hirtle's two-mile stretch of sand (pictured below). In addition to the ideal exposure, the 7.8 pristine acres of raw land features both unobstructable oceanfront and Caribbean-warm, fresh-water lakefront (property lines in blue below). 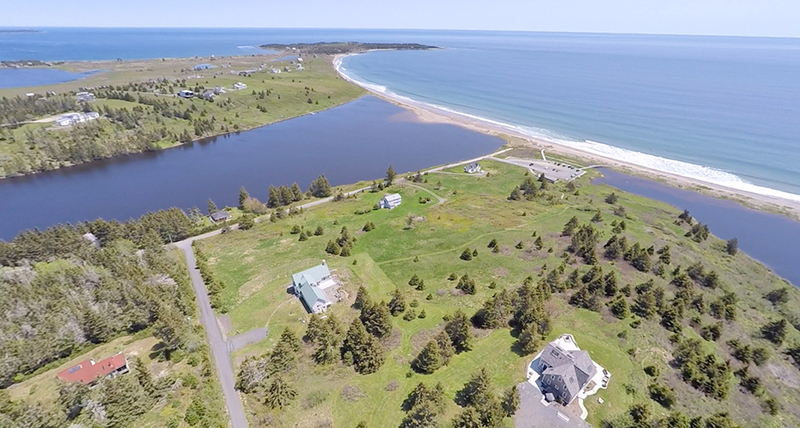 In addition to this property's warm, southern exposure, fresh and salt water accessibility and varied topography, this property is unique in a final and important way. It slopes up from the beach, making it erosion-proof. 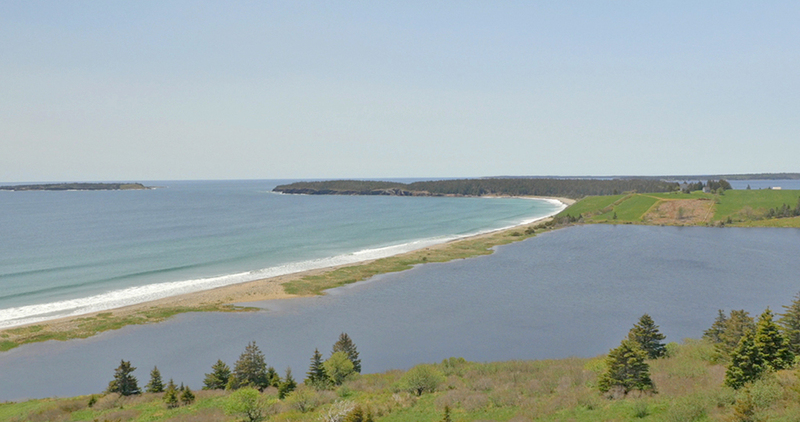 The remaining real estate on Hirtle's Beach is dominated by drumlin cliffside properties. These erode (about 1' per year) and their shape limits your view. By contrast, this erosion-proof hill gently slopes up from the Atlantic ocean and both lakes. Views extend in all directions for as far as the eye can see, limited only by the distant horizon. Meander through the lush hillside as deer prance through surrounding woods, as the ocean air washes over you and the crisp breeze fills your lungs. Or, stroll the sandy beach below to watch the waves roll in, light salty wind on your lips. 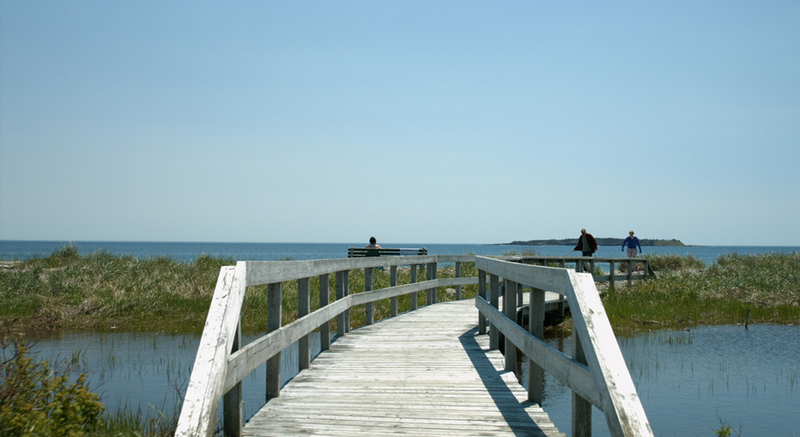 Property lines extend to where protected government land begins, making the views and beach access unobstructable. The photo below shows the eastern side of the property. It gazes out over Hirtles Pond and Hell's Point. If you choose to "build high," your view includes Kings Bay. 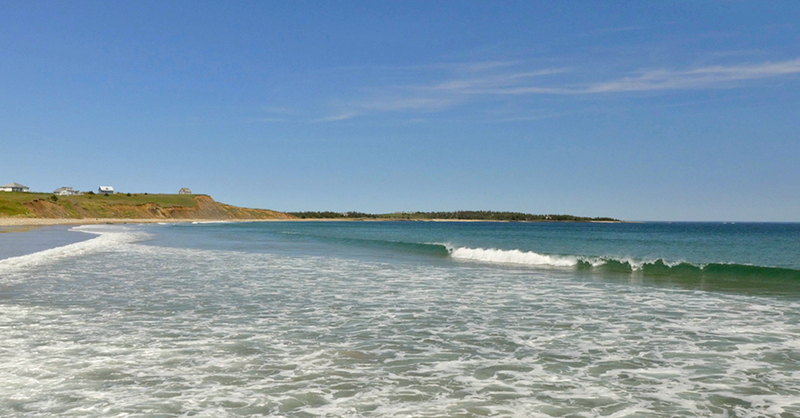 Hell's Point is known for its wild waves and attraction for the most skilled local surfers. Hike over the east side's slate surface to take in the pure power of the Atlantic swells at Hell's Point before continuing around the point to Kings Bay "next door." 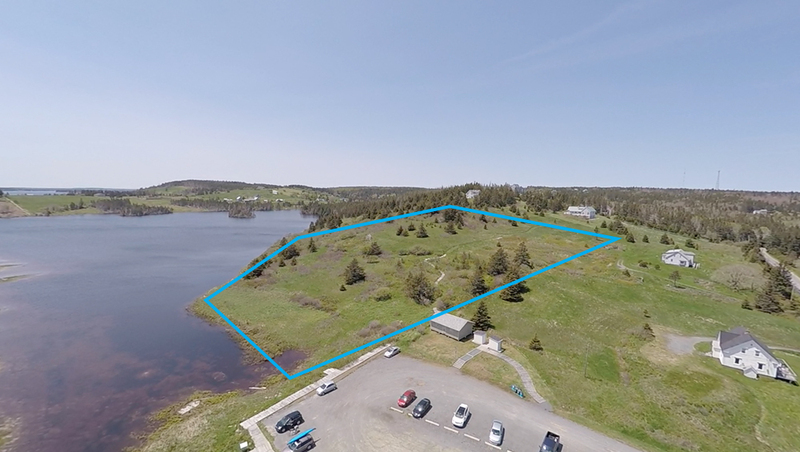 Your property line extends all the way down to neighboring Romkey Pond. Fresh-water and warm, its stillness makes for idyllic summer days of tanning, swimming, kayaking and stand up paddleboarding. 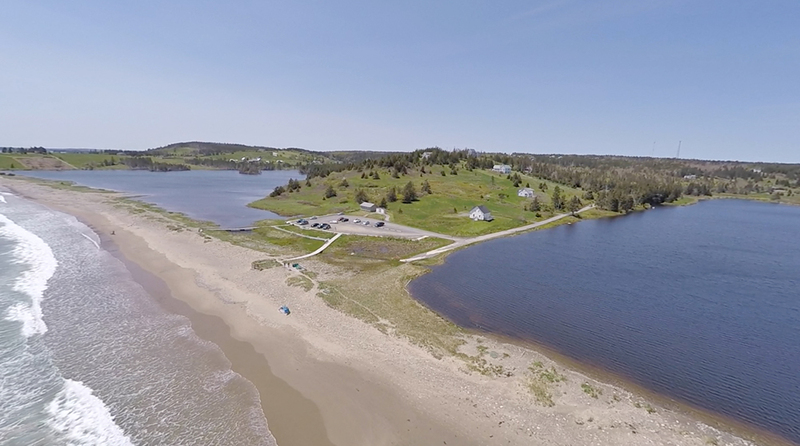 Your gaze beyond the lake stretches to mysterious Irondbound Island (left in the photo below), and Gaff Point, one of the province's top hiking spots and protected by a conservancy group. The village of Kingsburg is an electic mix. Residents range from families descended from the original grantees of land from King George III in 1787 to traders from Wall Street. Architecture varies and includes century old fishermen homes side by side with modern estates built by world-famous local architect, Brian MacKay-Lyons. 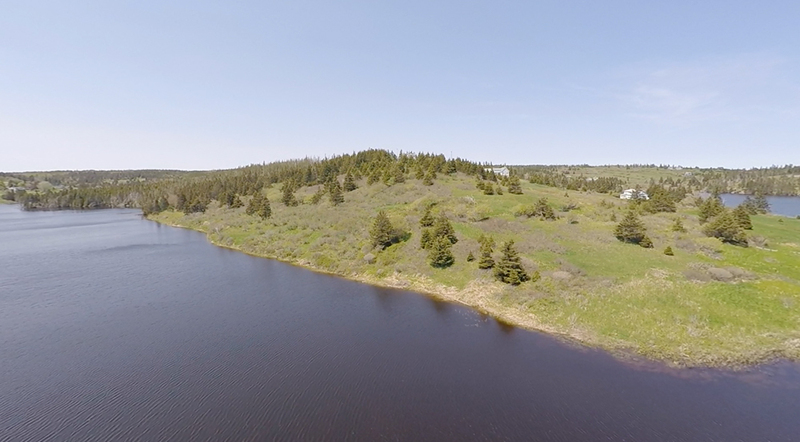 Untouched by mass market tourism and mega-developments, Hirtle's is an unspoiled beauty. As varied as its residents are, they all share Henry David Thoreau's peaceful appreciation of nature by the ocean. Use the - and + symbols on the map below to zoom out to see the whole area and to zoom in for property lines and right of ways.